The Great Wall of China is one of the greatest man made achievements in human history and it’s ripe for exploration in film. The mysterious element of something so monstrous can be used at many different angles and genres, and yet we get stuck with The Great Wall. Though the premise is hardly a dull idea, the results are incredibly lackluster, without anything as engaging or wild, as it probably should’ve been. 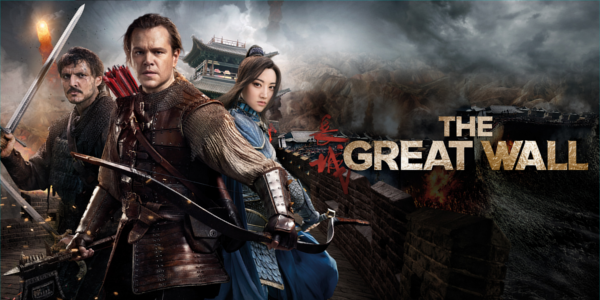 In this action-fantasy epic set in 11th century China, two mercenaries from the West (Matt Damon and Pedro Pascal) are captured by a military organization that is headquartered in a fortress on the Great Wall. In time, the duo gets caught up in a battle between the Chinese warriors and a supernatural menace that the Great Wall was built to repel. The Great Wall screams of a concept rather than an actual film and it shows in the production design and the battles. It’s a clearly more spectacle than story and when the battles are happening the film works in terms of entertainment. There is still no attachment to the characters or real stakes involved but the fights themselves are interesting. The film really misses the mark on what could’ve been a world that could’ve built up its own lore up rather than being just a surface level affair. I usually like to talk about the characters in a film and the performances behind them, but there really aren’t characters here. The lead, Matt Damon, has a character that’s apparently shifts his entire persona to be a hero but we never see him be anything other than that. Damon also uses an accent that is sometimes there and sometimes isn’t, a strange choice throughout. If nothing else Pedro Pascal has good chemistry with Damon and gets a lot of good comedic moments, but again his character decisions fluctuate in weird ways. Willem Dafoe has a completely useless character though his performance is fine and while Tian Jing has an interesting backstory there is no exploration of this at all, just hints of storylines that never really go anywhere. As I said before, the battles actually work, besides some iffy CGI from time to time, and are exciting while you’re in them. Due to the complete lack of building a story, the cool moments and different strategies and weapons used to kill the monsters are able to shine through. However, in a completely illogical turn of events, the entire anti-climatic third act takes place away from the wall, the entire setting for the film prior to this. Overall, The Great Wall doesn’t deliver on what could’ve been if nothing else a fun popcorn film. But outside of some cool battle elements and a few comedic moments, the film can’t offer much else. The characters are non-existent and get lost in the visual spectacle of the battles. 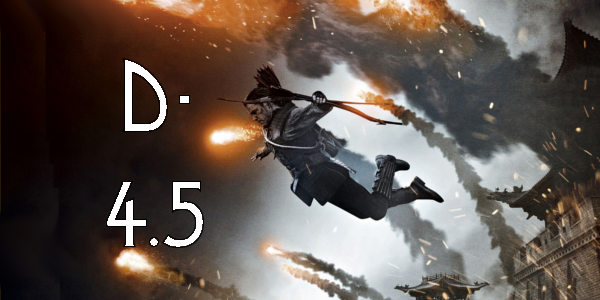 Despite not being quite as bad as I expected, The Great Wall is far from good let alone great. So what did you think of the The Great Wall? Have you seen it and what is your favorite completely fantastical portrayal of history? Share, subscribe, comment below, and as always return to I Am Sam for weekly reviews.